When guests come to your home, you want to make an instant impression upon them. You want these guests to take one look at your home, and to then know that you and your family are people of refined taste and style. Naturally, creating this impression begins at the beginning: with your entryway. Although it is ultimately not the most important part of your home’s design, you should consider how the entryway can set the tone – so to speak – for the other living spaces that comprise your home. With a properly designed entryway, you’ll be able to signal to guests what kind of home they can expect beyond. For example, if your home is exceptionally contemporary, then you’ll want an entryway that foretells of this design concept, with minimal styling and striking décor. Regardless of what style your entryway (and home) adopts, having a beautiful entryway is always a wonderful thing for a home. 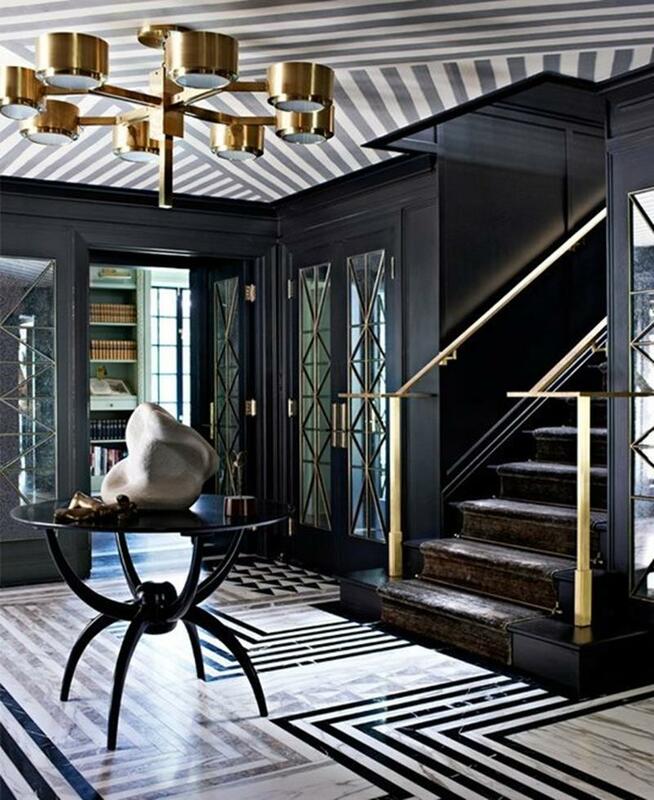 That’s why we’ve put together this list of 25 jaw-dropping entryways. In the examples that follow, you’re going to see some extremely luxurious home entrances that cover the gamut in terms of style and functionality. Some of these are perfect for luxurious and large homes, whereas others are perfect for a family home. 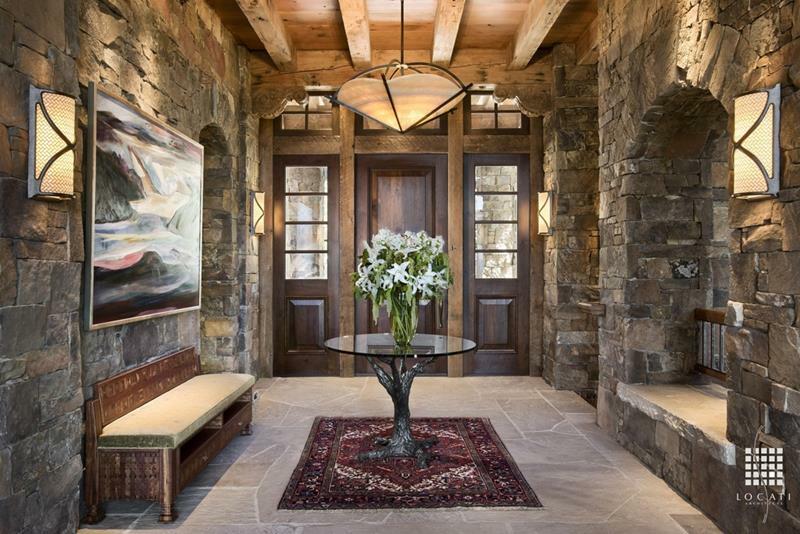 In any event, you simply need to see these beautiful home entryways! 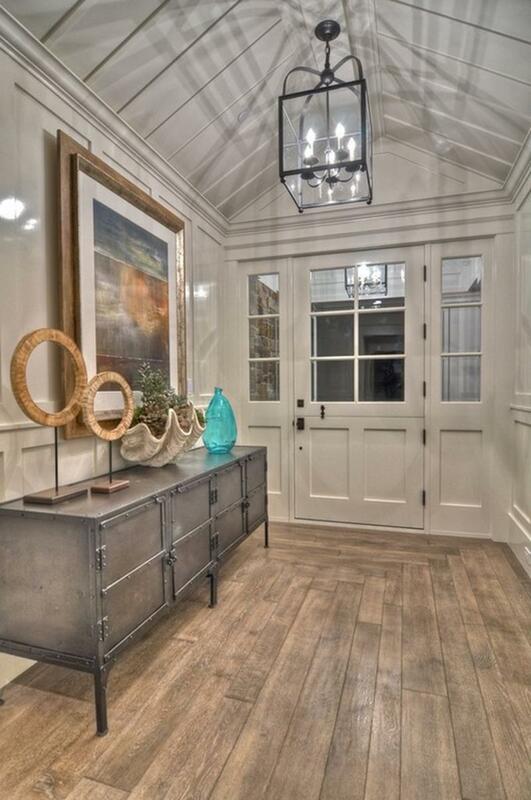 The patterned stained hardwood floors used in this beautiful entryway really make a statement. In this entryway, anchor-shaped wall hooks are used in order to introduce guests to the home’s coastal styling. A wonderful level of visual contrast is achieved here thanks to the curved lines of the center table and the squared lines elsewhere. Combined with the pure white of the walls, the reclaimed wood floors really create a classic look for this jaw-dropping entryway.